Synonyms: PBTCA; PBTC; PHOSPHONOBUTANE TRICARBOXYLIC ACID;2-Phosphonobutane -1,2,4-Tricarboxylic Acid; 2-Phosphonobutane-1,2,4-tricarboxylic acid PBTC; PBS-AM; Phosphonobutanetricarboxylic acid; 2-Phosphono-1,2,4-butanecarboxylic acid Phosphono Butanetricarboxylic Acid. pH of 1% solution: 2 max. Packing: 250kgs in Drums or as demanded by the buyer. 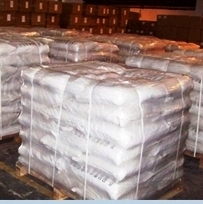 APPLICATIONS: Phosphonates derived from phosphorous (phosphonic) acid are employed in the applications of scale Inhibition, sequestration, dispersion and corrosion inhibition in addition to the main applications of agricultural chemicals such as fertilizers, pesticides, and soil conditioners. Phosphonates offer a wide range of sequestrants to control metal ions in aqueous systems. By forming stable water soluble complexes with multivalent metal ions, phosphonates prevent undesired interaction by blocking normal reactivity of metal ions. This ability contributes to function as threshold industrial water treatment and metal treatment processes (antiscalants, corrosion inhibitors, chelants, sludge conditioners, pulp bleachings, deflocculants, dispersants, metal cleaners, electroplating and crystal growth modifiers). Phosphonates are also used in manufacturing detergents, cosmetics and personal care products for special functions such as low levels iron control, stain removal, bleach stabilization, peroxide stabilization and anti-encrustation. Phosphonates existing in various compounds as acids or salts are marketed in the form of concentrated solutions. 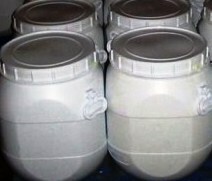 PBTC or PBTCA or 2-Phosphonobutane-1,2,4-Tricarboxylic Acid has low content of phosphoric, has structural features of both phosphoric acid and carboxylic acid group, which enable its excellent scale and corrosion inhibition properties. Its antiscale property under high temperature is far better than that of organophosphines. It can improve zinc salt solubility, has good chlorine oxidation tolerance and good composite synergy. PBTC or PBTCA or Phosphonobutane Tricarboxylic Acid has three carboxy groups in one molecule. This multifunctional carboxylic acid provides covalently linked structure with hydroxy group. Carboxylic acids form amide derivatives. PBTC or Phosphonobutane Tricarboxylic Acid is a raw material to produce aromatic polyimide resins having high resistance to thermal stresses. It is a metal chelator. It is used as a corrosion inhibitor and a metal-cleaning composition. It is used as a chemical intermediate. Its derivatives, acyl halides, anhydrides, esters, amides and nitriles, are used in making target products such as flavoring agents, pesticides, cosmetic ingredients, dyes, textile treatment agents, fungicides, and pharmaceuticals through further reactions of substitution, catalytic reduction, metal hydride reduction, diborane reduction, keto formation with organometallic reagents, electrophile bonding at oxygen, and Claisen condensation on carboxylic group. 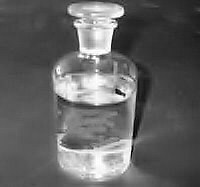 PBTC or PBTCA or 2-Phosphonobutane-1,2,4-Tricarboxylic Acid is a high efficient agent as scale and corrosion inhibitor. PBTC is the excellent stabilizer for zinc salt. 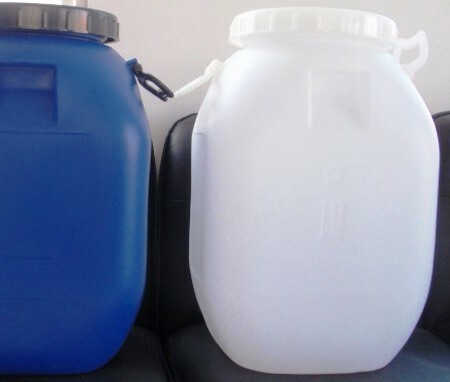 It is widely used in circulating cool water system and oilfield refill water system as scale and corrosion inhibitor, suitable to composite with zinc salt and copolymer. PBTC can be used in situations of high temperature, high hardness, high alkali and high concentration index. In lavation fields, it is used as chelating agent and metal detergent. PBTC or Phosphonobutane Tricarboxylic Acid is usually used together with zinc salt, copolymer, organophosphine, imidazole and other Water Treatment Chemicals. When used alone, the dosage of 5-15mg/L is preferred.